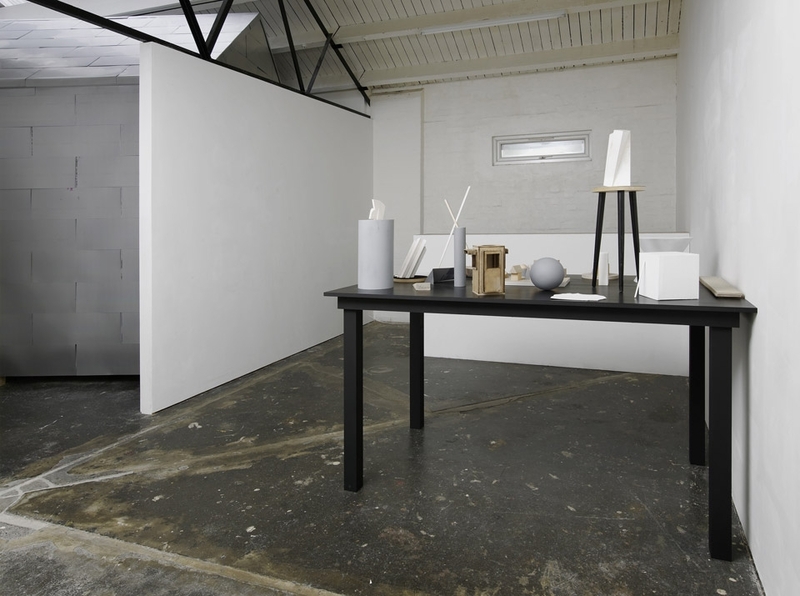 Kieren Reed's practice encompasses sculpture, performance and installation, from studies in form to the production of architectural structures. Artworks are most often linked to a place, a site or a consideration of a space or situation. Taking an interest in the conceptual space between form and functionality, the real and the fabricated, artworks explore the artistic task of imitating reality, considering their own utility to society. Presenting them provides a public stage for the 'private' principle of work. Their meaning is in their use, needing both to act in real terms as usable forms as well as simultaneously functioning aesthetically as sculpture. The use value of the work is manifested by being engaged with by the public and audience. It then becomes real - a simulacra of itself. This duality ensures it never becomes a static work, always being part of a negotiation. Currently working on large-scale social architectural commissions for 2017 and new artworks which further consider notions of form and functionality, recent projects and commissions have included Tate Britain, Whitstable Biennale 2010, Ritter Zamet, Quay Arts, Camden Arts Centre, Ikon Gallery, The New Art Gallery Walsall, Gasworks and Studio Voltaire. Liminal. McAulay Gallery, Tate Modern. Exploring the conceptual space between form and functionality and the artist’s inimitable skill of making, artworks are positioned as sites for engagement and discourse. Artworks act both in real terms as well as simultaneously functioning aesthetically as sculpture. This duality ensures they never become static works, but part of a negotiation both functional and purely aesthetic.This research explores the basic human desire to make or find a personal space, refuge or sanctuary as well as the artist’s specific need to occupy a studio – a place where one can go to research, collect, ;explore and display ideas. By sharing this creative, generative process with the audience, this allows a portrait of the artist at that given moment, a rare ;insight into how the idea is translated into the material. A series of sculptural installations are conceptually linked;to a specific site, space or situation. The works themselves are only;‘activated’ through the relationship with their potential audience – becoming a site for exchange, the transfer of information and the initiation of discussion– the ultimate synthesis between the physical and discursive dimensions of sculpture. Changeable environments in line with concurrent exhibition programming at both IKON and Tate Britain, these interventions are produced after research with local groups and audience, exploring the concepts of usable space and notions of display and museology within functionality. Spaces must be entered into – moving the audience into an alternative possibility, placing an emphasis onto them in terms of their interaction with the structure. These interventions create an experience in itself, encouraging active engagement from the viewer and moving them into and around the artwork, considering its function within the context of a wider gallery collections. Sometimes empty, these interventions have the potential for either/both events and display, with built in vitrines, shelving and cases that remain integral to the structure and are part of the work whether functioning as display spaces or not. Created as a ‘flat-pack’ movable structure, KADN Kiosk is ambiguous and suggestive of notions of exchange and simulation. The kiosk itself acts as a tool to produce the work, finally being seen as an art object or relic documenting the events that happen in or around it. 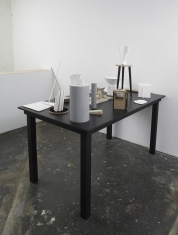 It functions as a space for the transfer of information and the initiation of discussion, placing artists Kieren Reed and Abigail Hunt at the fulcrum point within a discourse and providing the audience with the opportunity to offer and/or take information. This research explores communication and a process of negotiation and authorship. This notion which is rooted in the very idea of collaboration raises many issues about public voices, agency and audience manipulation. Director of Studies, Undergraduate Programmes and Undergraduate Tutor. UCL, Slade School of Fine Art. The artwork is a vernacular designed cabin made from wood and metal. It is used as a residency and accommodation space for artists, writers and musicians to stay. There are basic amenities of water and protection from the elements. The residency space has been created especially to allow time to think, read and create without the distraction of the digital. Social Sculpture is supported using public funding by the National Lottery through Arts Council England. The Beautifullest Place on Earth and Muckle Mouth curated a programme of live music, screenings, talks and a publication featuring Laura Cannell, L’Ocelle Mare, Helen Petts & Jana Bercelova, drawing lines between folk and experimental artistic practice. As part of the program, artists from The Beautifullest Place on Earth project will present performance, film, text and sculpture, drawing upon the importance of William Morris' Red House in the present moment, exploring legacies of politics and aesthetics, craft and skill, utopian visions, collaborations and communes. Participating artists include: Amy Brennan, Connie Butler, Michael Duffy, Ayce Su Duran, Sophie Eagle, Jacob Farrell, Sophie Frost, Lauren Godfrey, Melanie Jackson, Isabel Mallet, Neena Percy, Madeleine Pledge, Kieren Reed, Natasha Rees, Lesley Sharpe and Lauren Williamson. The Beautifullest Place on Earth has been made possible with a grant from Share Academy. 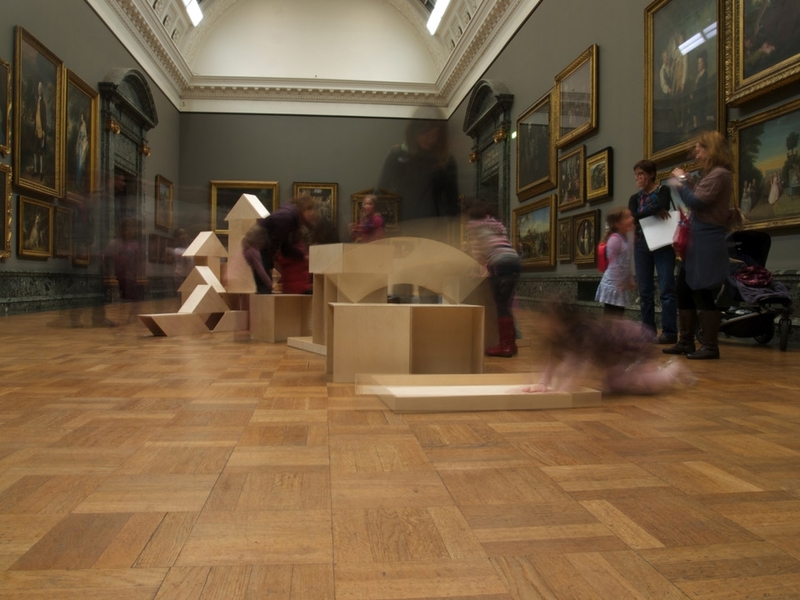 Share Academy is an Arts Council England funded programme that is helping develop and foster relationships between London specialist museums and academics at UCL and the University of the Arts London. It has funded 15 projects to help us establish best practice and produce guidance for the museum and Higher Education sectors. External Room (1) was installed in the orchard of the Red House for the duration of the project 'The Beautifullest Place On Earth'. It will acted as a structure to host the activities of other artists and writers who participate in the programme, as studio, office, exhibition space, meeting place. Kieren Reed is interested in functionality, the concepts of collaboration and the possibilities of de-authoring an artwork. Commissioned by the Whitstable Biennale 2014, From the Ground up, (A) Social Building, is part of an ongoing investigation into participatory art practices, exploring the legitimacy of sharing practice and the possibilities of creating innovative learning environments within the act of building a public space. Reed is interested in how possible it can be to ensure involved participants are not part of the subject of the work, but rather that they have self-agency. 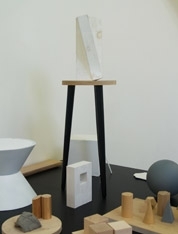 Working to create architectural sculptures though group workshops and collectively designing and investigating possibilities of creating spaces, Reed invents and explores function. For (A) Social Building, he invited input from students at UCA Canterbury and Collaborative Research Group. The piece continues Reed's critique of craftsmanship, work and labour, through shared ideals and the situation of participation. (A) Social Building needs to be considered in terms of all the situations in which it is sited. Reed is concerned with the possibility of the moment when a (his) sculpture gets consumed by the landscape and almost becomes unnoticeable. This challenge extends into his wider practice, where he is interested in the object, materiality, and the process and method of making and manufacturing. Some of his works, like (A) Social Building or Liminal 2012, explore the point when a thing stops being an object because of its scale, possibility of touch or its function outside of the context of the art object. Reed's practice is rooted in the negotiation of who uses the space or the artwork, and how it's used, as well as what is appropriate and what is not. In trying to de-author the artist, he looks to create opportunities for the other, handing over the sculpture for functional use and forgoing exclusive agency of the artwork. From the Ground up, (A) Social Building will move to National Trust property, The Red House, in South East London in Summer 2014, where appropriately it will frame William Morris' earlier ideas of collaborative working. Functional architectural sculpture exhibited at Folkestone Artworks and was used during the launch weekend, Saturday 4 – Sunday 6 May 2013. KADN Kiosk is a Victorian style information kiosk and was placed at Folkestone Central Railway Station. 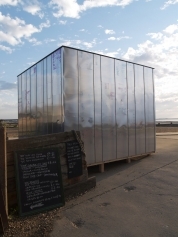 The Kiosk stayed in location until May 2014 and then moved to various locations in Folkestone and Kent as part of the Folkestone Triennial outreach initiatives. Acting as the headquarters space for Whitstable Biennale 2012, Social Sculpture explores the very nature of functionality, use value and social architecture, addressing notions of audience participation and relational art practice. Concerned with the placement of sculpture in the landscape and how this can inform and question functionality and audience participation. Recently he has developed a series of artworks, designed to function as spaces for initiating dialogue and communication with their audience, which become usable structures during temporary public events, exhibitions and performances. Social Sculpture is about the conceptual space between form and functionality. As Wittgenstein wrote, 'The meaning is the use'. The work needs both to act in real terms as usable architecture and simultaneously function aesthetically as sculpture. It only really becomes an artwork when its use value is that of a public space/location, used by others and engaged with by the general public and audience. It then becomes real - a simulacra of itself. This duality ensures it will never become a static work, always being part of a negotiation - both functional and purely aesthetic. Social Sculpture will also be shown at UCL, Downstairs Gallery and National Trust, Mottisfont. Social Sculpture is supported using public funding by the National Lottery through Arts Council England. Commissioned for Tate, Liminal invites the viewer into a physical, material and social experience of sculpture through touch, interaction and collaboration. An artwork of changeable social sculpture, liminal is an intervention that shifts the emphasis of meaning and experience. 'Liminality' refers to a space or moment that occurs in-between expected situations and conditions - a point at which one possibly feels disorientated but also one that holds the potential to explore a new perspective of thought and experience. The artwork, liminal is only 'activated' through a relationship with its audience. Appearing in different spaces around Tate, liminal explores the physical and discursive dimensions of sculpture and holds the potential to become a site for exchange, exploration and the initiation of discussion. The ritual encounter with an artwork - be it in a museum, gallery, private or public space - has evolved dramatically over the last century: from the contemplation of an object, to immersive installation, performance or participation. The title of the exhibition, IN ALL WAYS OR PLACES / OLLERPLEX UN-PLEX, playfully acknowledges the remote location of Oriel Sycharth Gallery at Glyndŵr University in Wrexham, North Wales. Its geographic position gets taken as a plus point by Melanie Counsell who brings together a diverse and varied group of artists based in Wales, Scotland, England and France, offering them a unique opportunity to throw caution to the wind and try out untested, unresolved or as yet unseen art work. The exhibition includes photographs, sculpture, music, audio works, and performance from artists working in a variety of ways and at different stages of their careers, each offering a sample of their present practice. Ritter Zamet Gallery, UK, London. 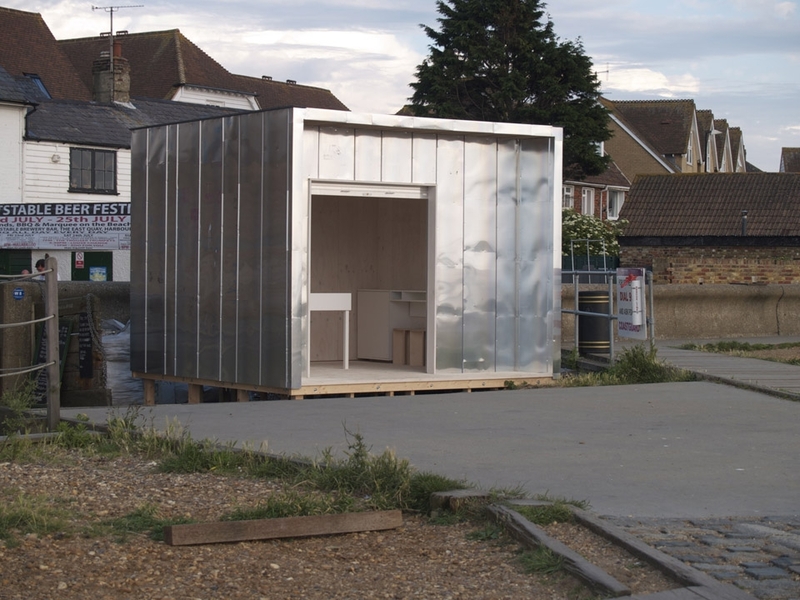 Aesthetically influenced by 1950’s post war British architecture and its considerations towards low cost design, functionality and durability of construction, a Pavilion structure will become the Whitstable Biennale Headquarters for the duration of the 2010 festival. 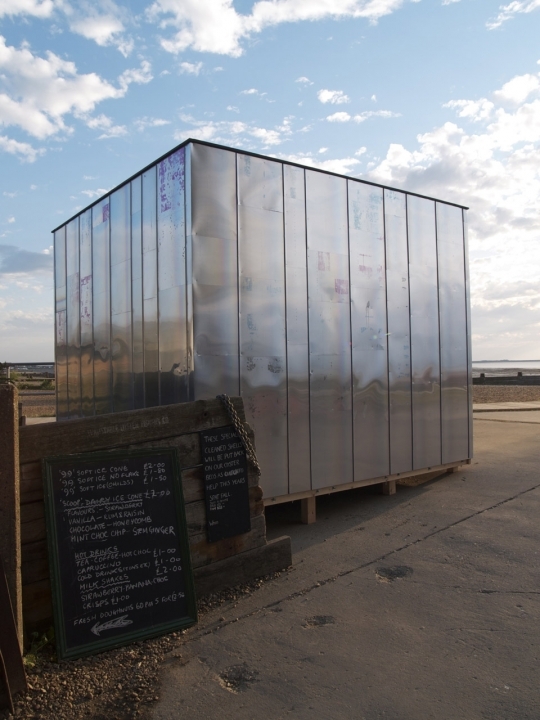 Placed on the shingle beach, next to the Royal Native Oyster Stores, and referencing seaside architecture and tourist functionality, a small single module will form the information point for the Biennale, housing artists’ books and information. The concept is a response to the idea of human and micro architectural spaces made to be occupied by only one or two persons and makes reference to Reed's interest and understanding of negotiating a town or city and its architecture. He is intrigued by the human relationship with spaces, habitat and the concepts of utopian architecture and modern social housing schemes. Initial designs reference 50’s development of school and utilitarian buildings in Europe. The Pavilion investigates the use of space, form and functionality and the similarities between architecture and sculpture. Responding to the theme of the folkestone triennial - ‘Travels through time and space,’ a collaboration between artists Kieren Reed and Abigail Hunt turned the leas lift into a 40 second time machine. working with the social excitement of the theme park ride and the Dr Who generation, the artwork playfully teased the audience into suggesting that it was their very being on the lift that was taking them into the future, and not the simple fact that they were just seeing the passing of 40 seconds of time. The Kiosk, placed within public spaces, is traditionally built and Victorian in appearance. The intention is that the audience first recognise it at its face value, similar to that of an information point found at many train stations, high street corners etc, and therefore interact with it in a similar way. However, the KADN kiosk is ambiguous and suggestive of notions of exchange and simulation and in fact functions as a space for the transfer of information and the initiation of discussion, placing Kieren Reed and Abigail Hunt, as artists at the fulcrum point within a discourse and providing the audience with the opportunity to offer or take information. An important notion of a kiosk is that the internal space is inherently small, yet a vast selection of merchandise is available. Also along with the idea of an information point, as in tourism, the person behind the window is the holder of a vast knowledge of information about very defined facts. 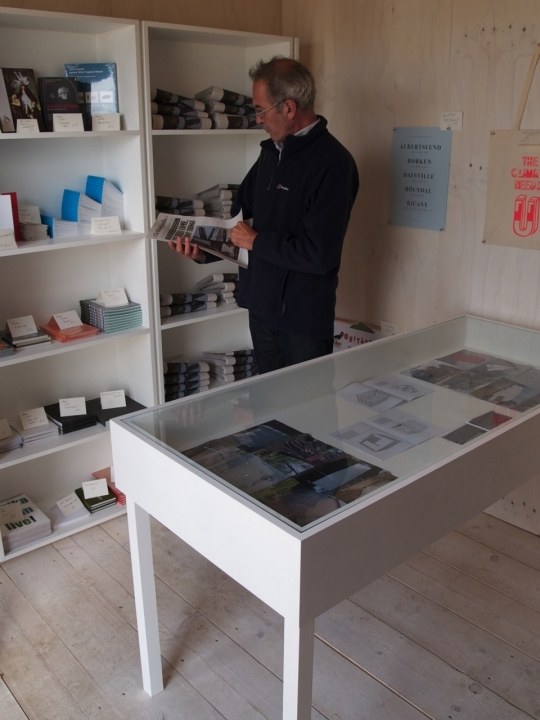 In addition to this knowledge, a kiosk often holds resource information in the form of books, guides and leaflets and the means to direct someone towards other sources of information. 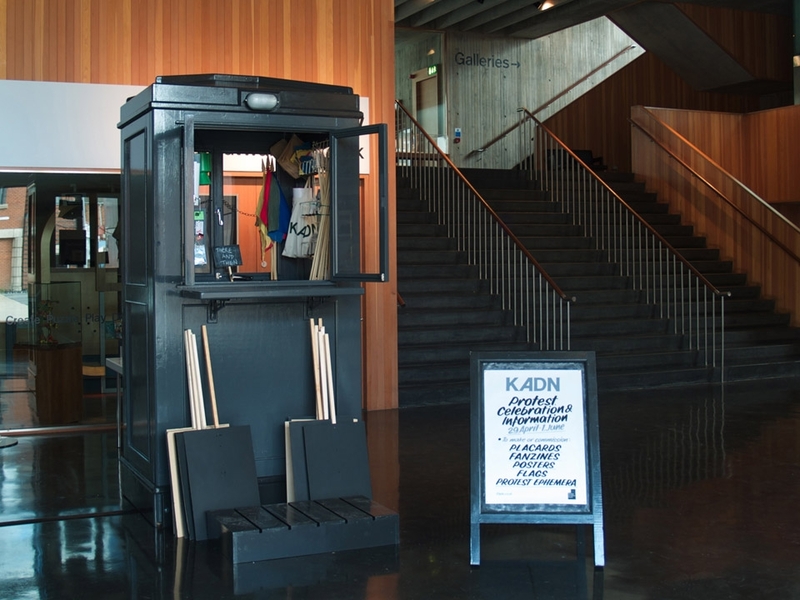 The KADN kiosk contains, amongst other things, a collection of books, leaflets and guides, a small photocopier/computer, and the means for visitors to research, commission and view placards, banners, badges, rosettes and wristbands and other associated items related to expressing public opinion, demonstration and celebration. Why can’t you leave me alone and let me be? 14th Tallinn Triennial will take place in Tallinn. The topic of this triennial is "Political/Poetical" and works are displayed at four locations. Tallinn Print Triennial is the best-known international art event in Estonia. Its history dates back to 1968. The author of the general concept of this triennial is Anders Härm. The core exhibition of the triennial, displaying works by 102 artists from 36 countries and selected by the international panel can be seen on the 5th floor of Kumu Art Museum. Stick*Stamp*Fly looks into posters as a means to communicate an event, an opinion or a rumour, as well as objects of design in their own right. Inspired by the actions and interactions between the purposeful individual, the “smart” object, and the social body. The ritual encounter with an artwork – be it in a museum, gallery, private or public space – has evolved dramatically over the last century: from the contemplation of an object, to immersive installation, performance or participation. Nicholas Bourriaud’s term ‘relational aesthetics’ referred specifically to work that took social relations as its basic medium. This kind of work usually took place within the walls of the designated art space, and operated in relation to the behavioural rules of that particular mindset (even if working against them). What, then, does it mean when an artist’s work intervenes in the social and political relationships that exist in the real world of everyday life? How can this be brought into the museum, how can it be displayed and how does it relate to the social rituals engendered by the architecture and rules of the specialist space. Inside/Outside: Materialising the Social will examine the ways in which these codes and boundaries have been tested in the work of a number of different artists in the past decades, and how they have been theorised by key thinkers and writers. Participants include Leo Asemota, Jelili Atiku, Claire Bishop, Katy Fitzpatrick, Abigail Hunt, Shannon Jackson, Suzanne Lacy, Lin Chi-Wei, Liu Ding, Mark Miller, Kieren Reed, Alex Schady, Susan Sheddan, Emma Smith and Dorothea von Hantelmann. University for the Creative Arts (UCA) Creative Residency initiative for 2014, enabling students to benefit from more guest artist, designer and media practitioner-led projects during their degree courses. As part of Arts Council England funded research project 'Centre for Remote Possibilities' hosted at Matts Gallery, London. 'Chronesthesia' is a one our stoken word and diagram performnace exploring notions of timetravel, episodic memory and mental timetravel. The performance was produced for a live public audience and broadcast on the internet. 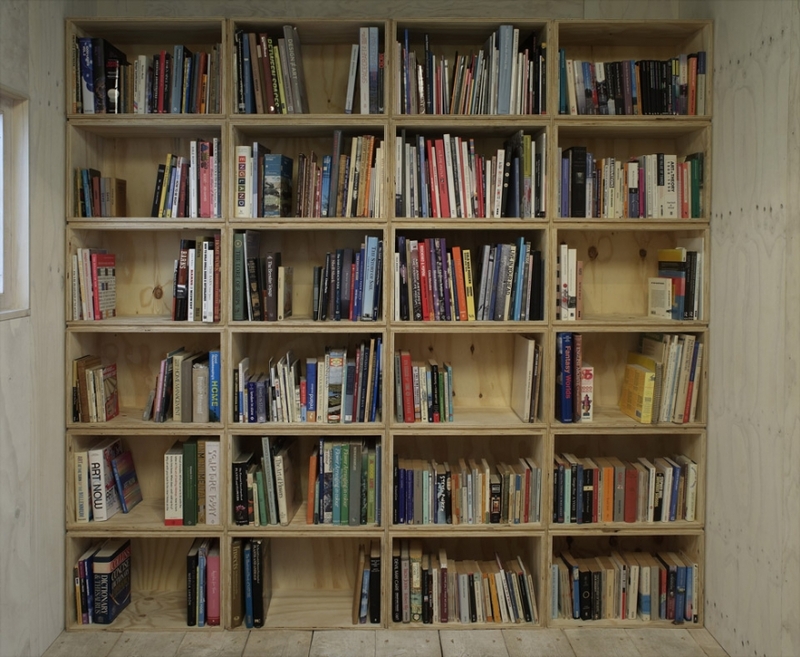 Social Sculpture, Library, resource and seating installation.